All real-and-virtual environments generated by computer graphics and rendered through computer vision. XR is the umbrella category that covers all the various forms of computer-altered reality. Extended Reality apps are written in special 3D programs & using a special engine like “Unity3D” that allows the developer to render an animation or contextual digital information in the real/virtual world. The ‘X’ in XR is a variable that can stand for any letter including Augmented Reality (AR), Mixed Reality (MR), and Virtual Reality (VR). Is an overlay of computer-generated content on the real world that can superficially interact with the environment in real-time. Augmented Reality uses the existing environment and overlays new information/media on the top of it. 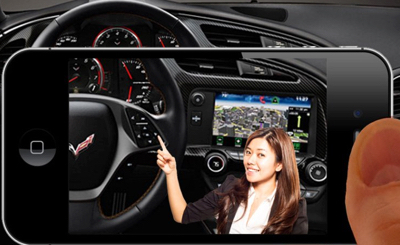 We can combine Global Positioning System (GPS), Machine Vision, Object Recognition, Gesture recognition with AR to develop more functional and useful AR apps. Is an overlay of synthetic content that is anchored to and interacts with objects in the real world—in real time. Mixed Reality experiences exhibit occlusion, in that the computer-generated objects are visibly obscured by objects in the physical environment. Encompasses all immersive experiences. These could be created using purely real-world content (360 Video), purely synthetic content (Computer Generated), or a hybrid of both. This medium requires the use of a Head-Mounted Device (HMD) like the Oculus Rift, HTC Vive, or Google Cardboard. In conclusion, Augmented Reality and Mixed Reality are not interchangeable terms. The general distinction is: all MR is AR, but not all AR is MR. AR is a composite and MR is interactive. XR technology is used in many industries including Automobile, Healthcare, Public-Safety, Gas & Oil, Tourism, Marketing and much more.